Industrial Water Services, a field service company that specializes in building, servicing and installing industrial water treatment systems, selected Flowfinity software to replace paper forms in the field and streamline scheduling and reporting. The mobile solution, which is tailor-made for the company's business processes, has improved efficiency and visibility in the field. Lisa Valdespino, Service Manager, Industrial Water Services explains why the company selected Flowfinity how it has benefitted from the solution. What were the biggest pain points that you wanted to address with a mobile field service solution? The main goal was that we wanted to go paperless. Our field technicians were carrying around stacks of paper all day, and keeping track of all of that paper once it made it back to the office was time consuming. We had to make sure all of the paperwork was submitted, legible, and delivered to the customer. There were times when paperwork would get lost, and we would have to go back to a customer to get a new signature before we could invoice for a job. We also had to manually graph our data to see how customers' systems were trending over time. That involved going back into the files, pulling all of the job reports, and manually entering the data into spreadsheets, which was time consuming. Another part of our work that we wanted to streamline was the scheduling process. We have a lot of weekly recurring jobs, and we had to keep track of whether they were completed, check off whether we received the paper job report, set up the same job for the following week and make sure any services weren't missed. We wanted the ability to automatically schedule and dispatch those recurring jobs to technicians. What was your software selection process? We had previously hired a local app developer to create a custom app from scratch, but unfortunately that project was unsuccessful. We wanted a custom solution, but first it needed to work well, and second we needed the ability to make changes as our business needs evolved. With the custom app, it seemed like whatever we needed to modify, no matter how small the update, was a big deal. When looking for a new solution, we wanted to work with a reputable and proven company. We considered a few field service software solutions, but they didn't offer the flexibility we needed to tailor the solution for our needs. Flowfinity allowed us take our existing forms and business workflows, and migrate them directly into an electronic/mobile format. It can also be modified easily when we want to update an app or form. For example, when we make a new chemical and we need to add it to our mobile forms, Flowfinity enables us to make that change ourselves. It's very user friendly, and modifications to apps can be made by people who aren't programmers. "We considered a few field service software solutions, but they didn't offer the flexibility we needed to tailor the solution for our needs." How are you using Flowfinity in the office? We're using Flowfinity for call logging, dispatch, scheduling, purchasing, tracking deliveries, and recording all of field services that we provide. If a customer calls about something that needs to be repaired, one of our office staff members enters the job in Flowfinity, and we assign it to one of our field technicians to complete the work. We can review all of the completed services at the office, pull reports, and ensure that jobs are completed and closed properly. Flowfinity includes the option to limit activities by user role, so we can ensure that only certain people have permission to close jobs or delete jobs. This improves the accuracy of our information overall. We're also using Flowfinity for purchasing. When someone at the office needs to order a part, they enter it in Flowfinity, and our purchasing department submits it to our vendors. Once the part is delivered, our receiving department signs off, and when it's invoiced, the Accounts Payable department closes the request. This workflow is custom-built in Flowfinity, and is used through the web client in the office. How are you using the solution in the field? We've replaced our paper forms with mobile forms, so that our field technicians can enter all of their measurements and service records directly into their smartphones. It's much easier because we no longer have paperwork to keep track of, and each mobile form can be tailored to a specific customer. All of our customers are very different, and having only the relevant information in the form saves time in the field. Our field technicians can also look up customer information in the field since Flowfinity supports two-way information. "(Flowfinity) can also be modified easily when we want to update an app or form. It's very user friendly, and modifications to apps can be made by people who aren't programmers." We also use Flowfinity to track deliveries. We use an electronic delivery ticket with all of the relevant information on it. The customer signs for it and we close it at the office. How does your scheduling system work now? For our recurring services, we enter the services into Flowfinity at the office, and they automatically appear on our field technicians' mobile devices. Once they submit the job report, it's removed from their schedule and marked as completed. When the next one is due, it will appear again in their dispatched jobs list. We recently integrated Flowfinity with Google Calendar, so that all of the technicians' scheduled jobs in Flowfinity appear in the calendar. From a management perspective, having that visual tool to see all the services planned for the next week or month has made things a lot easier. How much time are you saving now? Since implementing Flowfinity, we are saving at least half a day of administrative work per week, because our processes are automated now. We don't have to discuss which jobs were completed and by whom, manually check paperwork, or manually graph data. Everything is centralized and up-to-date. Flowfinity also saves us a lot of time looking for information. We just have to do a search for whatever we need to find and it's there. Billing is much simpler, because I can look at a customer's history for the past two weeks and make sure that everything was billed, and that it was correctly billed. Previously I had to go through a pile of papers and try not to miss anything, which took a lot more time. "Since implementing Flowfinity, we are saving at least half a day of administrative work per week, because our processes are automated now." For the field technicians, once they submit a mobile form, it's accounted for and available to everyone at the office. We no longer have to chase them for paperwork. Has your customer service improved? The level of customer service that we are able to provide has increased since we started using Flowfinity. When our technicians submit a job report, the report is emailed out to our customers in the form of a PDF. If I need to access that PDF, I have the ability to do it easily in Flowfinity, so that I can see exactly what's going out to the customer. There is no question about whether services were completed. The customer's signature is on the PDF, it's time stamped, and all of the information they need is there. What are some business insights that the solution gives you? In general we have better visibility into what our field technicians are working on, and which services have been completed. Flowfinity also enabled us to automate graphing of the measurements taken by our field technicians. This used to be done manually in Excel on a more ad-hoc basis, because they it was time consuming and required a lot of data entry. These graphs help us identify small changes in a customer's system that can only be detected visually. Now that this process is automated, we can be more proactive in identifying potential issues or equipment that needs to be serviced. 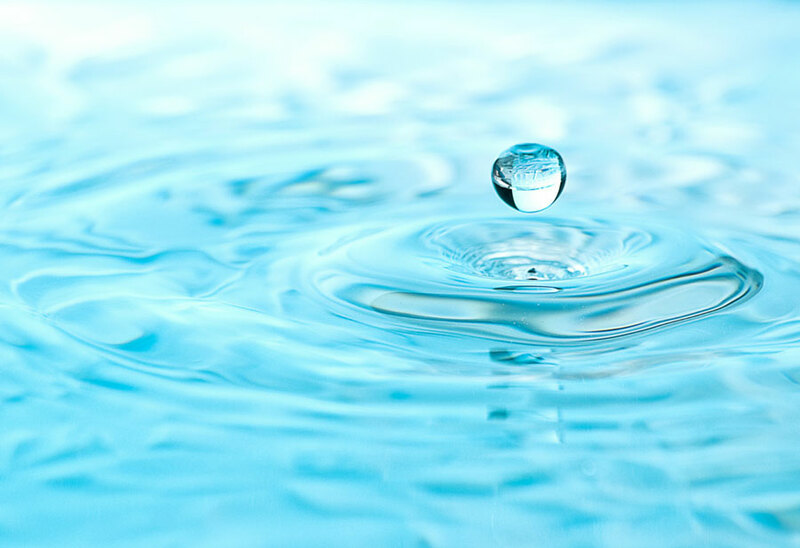 A lot of our customers require ultrapure water, and having these automated reports allows us to avoid emergency situations where our field technicians have to be sent out on calls outside of regular work hours. The insights we draw from Flowfinity help us deliver better customer service, anticipate possible issues and keep overtime costs down. "We can be more proactive in identifying potential issues or equipment that needs to be serviced." Are you incorporating photos in your mobile forms? In Flowfinity we have the ability to add pictures to any job report. We are mostly using photos to document equipment when there is a repair that needs to be done. We also include photos in service maintenance reports that are completed every 90 days, where we are checking that none of the equipment is rusting, or none of the tubes are cracking. That way we can see if something has changed in the past three months, and what the change was. Do you plan to expand your use of Flowfinity? We have another location where we plan to start using Flowfinity, in Mexico. Our plan is to translate the existing apps into Spanish and use Flowfinity apps fully offline in the field, since data connectivity isn't always available there. We've been very happy with Flowfinity so far and look forward to being able to use the solution at our other location. Flowfinity allowed us take our existing forms and business workflows, and migrate them directly into an electronic/mobile format. It can also be modified easily when we want to update an app or form. It's very user friendly, and modifications to apps can be made by people who aren't programmers.